This article looks at a QROPS case example, and examines the technical aspects of such a vehicle. A QROPS or Qualifying Recognised Overseas Pension Scheme is quite a mouthful, but put simply it is a transfer of an individual pension fund from one country to another. EU legislation exists which enables these transfers, although individual countries can decide for themselves whether to allow them or not. Currently only the UK has completed the necessary local legislation to allow unfettered access to transfer, however in time I believe all countries will have to enact also. Clearly it’s very important for anyone considering transferring their pension to be fully aware of how the legislation affects them personally, and I would always advise using the services of suitably qualified advisers to make the initial assessment. A typical case study outlined below will show how a QROPS transfer from a UK pension can benefit those whose personal circumstances lend themselves best to take advantage of this relatively new legislation. Silvia is a European national who has recently moved from the UK to the Netherlands. She worked for 20 years as an international lawyer for 4 different companies and intends to work in other EU countries before retiring in France. She has 4 pension pots from 4 different insurance companies, all of which are defined contribution schemes. Defined contribution simply means her pension entitlements are based on contributions from herself and her employer. These contributions are invested, and she will be able to take a pension based on annuity rates at her time of retirement. Annuity rates are calculated by insurance company specialists who work out Silvia’s expected life-span then apply a percentage rate to the pot from which she can withdraw income. So, in the case of a 65 year old for example, this rate would be around 4% per annum. Silvia has around £400,000 in total and is not expecting to work in the UK again. As the funds are currently invested in pounds, can she change to € to more accurately reflect the currency she will eventually use in France? Can all 4 pension pots be consolidated into 1? As Silvia is married and has 2 children, what is the inheritance tax position? Silvia has noticed that the funds her pensions are invested in are middle of the road performers and there isn’t much choice available other than those offered by the insurance companies. What are her options? As annuity rates are very low, is there a way to increase her potential income? Silvia knows she can take 25% of her funds in cash, free of UK tax. How would that be treated in France? Although Silvia doesn’t expect to work in the UK again, Life Time Allowance (LTA) legislation means tax benefits are only allowable up to a maximum of £1.25m on current legislation. This means if she leaves her pension funds in the UK and they perform well (let’s say by 10% per annum), her £400,000 will soon exceed the LTA. Using the ‘rule of 7’ for simplicity, whereby the principle doubles every 7 years if increased by 10% compound interest per annum, it would only take about 10 years to reach her LTA. This means if she works in the UK again, she won’t be able to claim tax relief on pension contributions. She could even end up creating tax liabilities. Additionally, the LTA could well reduce in future years as we have seen the gradual erosion of the LTA from £1.8m to £1.5m to the current £1.25m. 10% per annum compound interest is a good return, however not impossible with the right investment portfolio. In Silvia’s case either she will reach her LTA too quickly or her funds have to perform badly to avoid this. Neither scenario is an attractive outcome. Back to Silvia’s questions in the QROPS case. The answers I will give here are brief and it must be noted that behind most simple answers is a plethora of technicalities which would also need to be addressed and resolved. Pension funds invested in a QROPS can be held in any freely convertible currency available globally. In Silvia’s case, she would opt for a € based portfolio. This eliminates any current or future currency risk on her pension plan. One of the many benefits of such a vehicle is that it is possible to transfer all of your pension plans into one easy to manage pot. So, Silvia can consolidate all 4 of her pensions into a QROPS. This is particularly important for those with, say, 2 large and 2 small pots as transferring the smaller pots individually could be expensive and therefore not worthwhile. If Silvia leaves her pensions in her UK plans a ‘death tax charge’ of up to 55% would be applied before any distribution to her heirs. This charge doesn’t apply with a QROPS and, in fact, if the underlying investments are made through an ‘Assurance Vie’ the total remaining fund would be transferred to her spouse and any potential tax would only be payable on his demise. This means Silvia’s children would eventually inherit her pension pot. This is a much better outcome than leaving her pensions in the UK schemes. Another major advantage of investing in this type of pension is the availability of ‘open architecture’ for the underlying investments. Put simply, this means Silvia can invest in almost any investment fund available world-wide. This is in stark contrast from her current situation whereby she is restricted to only a few options for each pension. Although recent UK legislation is being formulated to help people withdraw more income from their annuity-based plans, there are conditions which need to be met before flexibility is allowed. Most QROPS allow income withdrawal at 20% higher than the usual UK rate by applying UK GAD (Government Actuarial Department) rates. So, yes, Silvia can expect a higher income. If we combine this point with potentially better investment management, the difference will be even greater as her pot will be bigger. 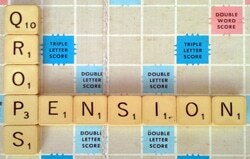 The majority of QROPS allow up to 30% of a pension pot to be withdrawn in cash on pension commencement. Care has to be taken in terms of local tax legislation, however a good adviser can calculate the best way to do this. In France it may well be best to invest in an ’Assurance Vie’, for example as they provide significant tax benefits for investors. Most EU countries have their own version of tax beneficial investment products so it’s important to be aware of this. Finally, although Silvia didn’t specifically ask about the Life Time Allowance legislation, her adviser has more good news as QROPS don’t impose LTAs. So, rather than being penalised for good investment performance, Silvia will be rewarded as her pension can grow unrestricted, therefore making both her Pension Commencement Lump Sum and income higher. The adviser’s job is to take care of all administration on Silvia’s QROPS case, provide the investment platform and tax advice and carefully look after her pension with future servicing.